Negative stereotypes play a role, and often companies - and veterans themselves -- don't realize what they have to offer. When the average person hears the word "military," it can conjure up thoughts of rank and file, obedience, and rifles in hand, say veterans who have transitioned to roles in the PR industry. And many people are unaware of the in-depth comms training members of the Armed Forces pick up while on duty and how transferable those skills are to a career in PR. One of the military occupational specialties soldiers can select is the opportunity to be a public affairs specialist. In this role in the Army, soldiers help to supervise and administer Army public affairs programs, primarily through news releases, base newspaper articles, Web-based material, and photographs for use in military and civilian media. "In general, vets who work in public affairs can do everything well: digital, crisis, content, and social media," says John Edelman, global citizenship MD at Edelman. "These are all the key skills PR firms hire for." One of the technology sector’s most prominent communicators received a range of training in the military. Frank Shaw, corporate VP of corporate communications at Microsoft, was on active duty from 1984 to 1988, followed by eight years in the reserves, and was a public affairs officer in the Marine Corps. "I got real-world experiences that were pretty advanced," he says. "As a 24-year-old first lieutenant, I was coordinating a massive press event that included the chairman of the Joint Chiefs of Staff and was placed in difficult situations and given the responsibility and accountability to do something." Shaw also ran a base newspaper and radio station and handled media and community relations and crisis communications. He explains that the core of the work he did in the Marines is similar to what he does today at Microsoft. "If there is a story you want to tell – a crisis or an opportunity – and you are dealing with media, all of those things feel very similar, but the environment around them has changed," he explains. "So it can take a while to adjust to that." 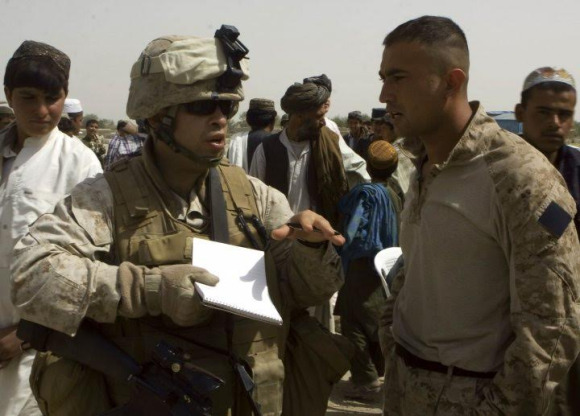 During Luis Agostini’s 12-year stint in the Marine Corps, he worked as a combat correspondent, writing for the base newspaper and working as a community manager (pictured below). He is now a senior media executive at Edelman. He says the public affairs training veterans receive is particularly translatable to a career in crisis comms. "After being in a combat environment or dealing with protecting that particular branch’s reputation, a good portion of those in the public affairs field are familiar with crisis scenarios," he says. 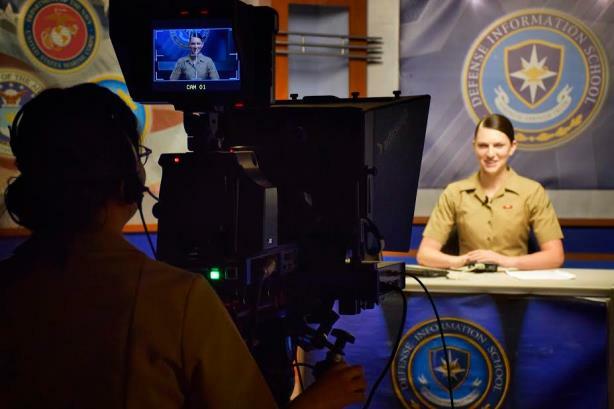 Yet although transferring those skills to a PR career in the civilian world may seem easy, there are several obstacles. Melissa Boatwright, Thomson Reuters’ chief of staff for technology and an Air Force TV and radio journalist for 10 years, contends one problem is the one-sided narrative about veterans in the mainstream media. She says that because the public is not presented with a comprehensive picture of what it is to be a modern day veteran, employers may harbor an unconscious bias against them. "If you look at a snapshot about the movies that have been made about wars and veterans over the last 50 years, you notice a trend that the main characters tend to be white males between the ages of 27 and 44 who have some sort of anger issue," Boatwright explains. Stories often focus on veteran suicide, post-traumatic stress disorder, addiction, and dependency issues, she adds, noting that although post-military life for the vast majority of vets is "pretty damn good," it’s rare to hear or read stories about those who make it after transitioning. "For hiring managers, when you see a vet’s resume, before you move it into the ‘no pile,’ really think about why you are saying ‘no’ and why you might want to say ‘yes,’" Boatwright advises. Shaw adds that executives in charge of recruitment in the PR industry should be open to finding comms skills from candidates with a variety of backgrounds, including the military. He notes that many corporations such as Microsoft have a set of training and job-matching programs specifically to on-board veterans. "We have a translator that says if you were in the Navy doing this type of work, here are the kinds of jobs you might be qualified for at Microsoft; that makes the transition a bit easier," says Shaw. PR firms such as Edelman, which was founded by World War II veteran Daniel Edelman, have their own initiatives. The agency is planning to implement veteran immersion and mentor programs next year, John Edelman says. Although Boatwright believes veterans receive an "unprecedented amount of support" after leaving active duty, she says what they really need is empowerment. "There are more than 40,000 vet organizations in the US and most of them are there to help broken vets, so I think it would be foolish to think we don’t have this idea of vets that might be clouding our judgment about what it means to be one," she says. The negative stereotypes about post-military life can also deal a blow to veterans’ confidence. Boatwright explains that most vets are in their 20s when they leave the Armed Forces, so hearing bleak stories can set a dangerous precedent. Therefore, they might not see the skills they’ve obtained in the military as valuable assets to a corporation, says Boatwright. "One of the challenges that many vets face, especially ones looking to transition into corporate fields, is the ability to translate your experience and skills from the military into a resume that will resonate with civilian employers," she says. Richard Spector, director of corporate development and industry partnerships at the PRSA, says he often helps veterans whittle their resumes down to two pages to help hiring managers in the industry understand their relevant skills. "I think there is a military speak that HR people may not realize," Spector says. "If you led a troop into a certain situation, people don’t realize that means they have been a strategic communicator." Boatwright says she was able to quickly transition to civilian professional life, but it took her a while to realize the value of all the skills she was bringing to the table. "You have to believe that your experience as a vet is valuable," she says. "Not because anybody owes you that but because you have skills and experiences that other people don’t." The teamwork and humility veterans learn while on duty may also work against them when putting together a resume, says Spector. "It has been ingrained into us to be selfless – praise the team rather than the individual," says Agostini. "That does carry over, but once you transition out, you do have to market yourself and your skills because no one else will do it for you." Agostini recalls that when he departed the Marines after a dozen years, he marketed himself "pretty hard," attending PRSA events, networking, and even tweeting at agency executives to get their attention. That’s how he landed an internship at Edelman, which led him to his current role. He added that a portfolio is essential to landing a PR role after the military. "It is a challenge for hiring managers in PR to get a grasp of what it is that we do," he says. "I can tell you this all day long that I wrote stories, escorted media internationally, arranged interviews from Afghanistan with outlets such as CNN and Fox News, but until I can put that in front of you and you can see for yourself, it is a challenge for these hiring managers to understand what we did and accomplished." The PRSA developed the Moving Veterans Forward initiative, led by Spector, two years ago for veterans who wanted to transition into the PR industry. The program includes a complimentary year-long PRSA membership for qualifying veterans, with access to resources, tools, and local chapter networking contacts. There is also a mentoring component, as well as resumé assistance. The initiative also provides a hiring toolkit for employers to help them identify attributes that match up with what they are seeking in a PR pro. This story was updated on November 11 to correct John Edelman’s title. It is MD of global citizenship at Edelman.